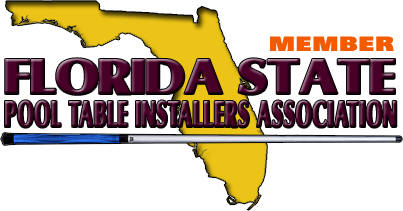 Mike's Professional Billiard Table Moving, Re-felting, Re-cushioning, Restoration, Disassemble, Installation, Setup, Repair, Crating, Shipping, Amusement and Vending service area (See Service Area) includes all of the following - 55 - Florida Counties. Alachua, Baker, Bradford, Brevard, Broward, Charlotte, Citrus, Clay, Collier, Columbia, Dade, De Soto, Dixie, Duval, Flagler, Gadsden, Gilchrist, Glades, Hamilton, Hardee, Hendry, Hernando, Highlands, Hillsborough, Indian River, Jefferson, Lafayette, Lake, Lee, Leon, Levy, Madison, Manatee, Marion, Martin, Monroe, Nassau, Okeechobee, Orange, Osceola, Palm Beach, Pasco, Pinellas, Polk, Putnam, St. Johns, St. Lucie, Sarasota, Seminole, Sumter, Suwannee, Taylor, Union, Volusia and Wakulla County Florida. 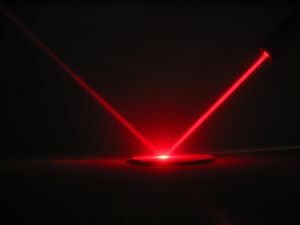 If your Business is in Florida Mike's Billiard Supplies - Amusement and Vending Division can provide State of the Art Equipment such as Coin Operated Jukeboxes, Pool Tables, Touchscreens, Arcade Video Games, Sports Games Golf, Bowling, Toy Crane and Skill Machines, Dart and Boxing Machines, Shooting Games Driving Games. We share the profit, you don't need to invest a dime. These are great entertainment for your customers may it be a Bar, Pool Room, Nightclub, Game Room, Restaurant or other similar Establishments. Your Customer will stay longer and come back more often. Mike has been installing and servicing coin operated pool tables in an around Florida for more than 15 years. To check prices on our services just click the links on the below. Then just email us for our professional service. Just to name a few cities, towns, neighborhoods, subdivisions, settlements and other places that show up on Mike's Florida Billiard table installation, moving, re-felting, cushion replacement, removal, disassemble, crating, shipping or repair service call list during the calendar year. 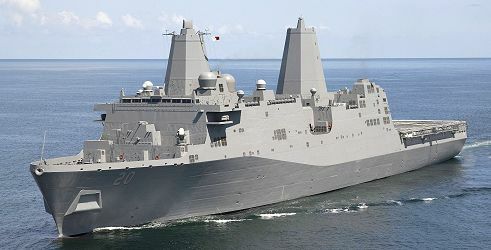 Aberdeen, FL, Achan, FL, Acline, FL, Adams, FL, Adamsville, Agricola, FL, Alachua, Fl,Alamana, FL, Alcoma, FL, Alderene Park, FL, Alderman, FL, Alexander Springs, FL, Allandale, FL, Allenhurst, FL, Aloma, FL, Alpine, FL, Alma, FL, Altamonte Springs, FL, Alton, FL, Altoona, FL, Alturas, FL, Alva, FL, Amelia City, FL, American Beach, FL, Anastasia, FL, Anclote, FL, Andalusia, FL, Andrews, FL, Andytown, FL, Angel City, FL, Ankona, FL, Anna Maria, FL, Anona, Anthony, FL, Apollo Beach, FL, Apopka, FL, Aqui Esta, FL, Araquey, FL, Arcadia, FL, Archbold, FL, Archer, FL, Ariel, FL, Aripeka, FL, Arlington, FL, Arlington Park, FL, Armstrong, FL, Arran, FL, Arredondo, FL, Arundel, FL, Asbury Lake, FL, Ashmore, FL, Ashton, FL, Ashville, FL, Astatula, FL, Astor, FL, Astor Farms, FL, Astor Park, FL, Athena, FL, Atlantic Beach, FL, Atlantis, FL, Auburndale, FL, Aucilla, FL, Audubon, FL, Aurantia, FL, Aurora, FL, Avoca, FL, Avon Park, FL, Avon Park Lakes, FL, Ayers, FL, Azalea Park, FL, Babson Park, FL, Bailey, FL, Baird, FL, Bairs Den, FL, Bakers Mill, FL, Bakersville, FL, Ballard Pines, FL, Ballentine Manor, FL, Bamboo, FL, Barber Quarters, FL, Barberville, FL, Bardin, FL, Bartow, FL, Barwal, FL, Basinger, FL, Baskin, FL, Bass, FL, Bassville, FL, Bassville Park, FL, Basswood Estates, FL, Baum, FL, Bay Harbor, FL, Bay Hill, FL, Bay Lake, FL, Bay Pines, FL, Bayonet Point, FL, Bayshore, FL, Bayshore Gardens, FL, Bayshore Manor, FL, Baxter, FL, Bayport, FL, Bay Ridge, FL, Baywood, FL, Bayview, FL, Beachville, FL, Beacon Lakes, FL, Beacon Square, FL, Bean City, FL, Bear Hollow, FL, Becker, FL, Beck Hammock, FL, Beckhamtown, FL, Bee Ridge, FL, Beetree Ford, FL, Bel-Air, FL, Belair, FL, Bell, FL, Bellair, FL,Belleair, FL, Belleair Beach, FL, Belleair Bluffs, FL, Belle Isle, FL, Belle Meade, FL, Belleview, FL, Belleview Heights, FL, Bellville, FL, Bellwood, FL, Bellwood Estates, FL, Bel Marra, FL, Belle Glade, FL, Belle Glade Camp, FL, Belmore, FL, Belvedere Homes, FL, Benbow, FL, Benson Junction, FL, Benton,FL, Beresford, FL, Berkeley, FL, Bermont, FL, Bessemer, FL, Bessent, FL, Bereah, FL, Berry, FL, Bertha, FL, Bethel, FL, Bethany, FL, Bethune Beach, FL, Beulah, FL, Beverley Terrace, FL, Beverly Beach, FL, Beverly Hills, FL, Beville Heights, FL, Bevilles Corner, FL, Big Cypress Indian Reservation, FL, Biggar, FL, Bimini, FL, Birch Ocean Front, FL, Bithlo, FL, Black Creek, FL, Black Diamond, FL, Black Point, FL, Blacks Ford, FL, Blacks Still, FL, Bland, FL, Blanton, FL, Blitchton, FL, Blocker, FL, Bluffton, FL, Bookertown, FL, Bloomingdale, FL, Blowing Rocks, FL, Bloxham, FL, Bluefield, FL, Blue Inlet, FL, Blue Lakes Ridge, FL, Blue Springs, FL, Blue Springs Landing, FL, Boardman, FL, Boca Ciega, FL, Boca Del Mar, FL, Boca Grande, FL, Boca Harbour, FL, Boca Pointe, FL, Boca Raton, FL, Boca West, FL, Bokeelia, FL, Bonaventure, FL, Bonita Shores, FL, Bonita Springs, FL, Bonnie, FL, Bonnie Loch, FL, Bon Terra, FL, Bostwick, FL, Boulevard Gardens, FL, Boulogne, FL, Bowling Green, FL, Boyd, FL, Boynton Beach, FL, Braden Castle, FL, Bradenton, FL, Bradenton Beach, FL, Bradfordville, FL, Bradley Junction, FL, Branchborough, FL, Branchville, FL,Brandon, FL, Branford, FL, Breezeswept Park Estates, FL, Brentwood Estates, FL, Brewster, FL, Bridgeport, FL, Bridges, FL, Bridle Path Acres, FL, Brighton, FL, Brighton Indian Reservation, FL, Briny Breezes, FL, Broadview, FL, Broadview Park, FL, Bronson, FL, Brooker, FL, Brookridge, FL, Brookside, FL, Brooksville, FL, Broward Estates, FL, Broward Gardens, FL, Broward Highlands, FL, Browardale, FL, Browns Still, FL, Brownville, FL, Bruceville, FL, Bryant, FL, Bryceville, FL, Bucell Junction, FL, Buchanan, FL, Buckhead Ridge, FL, Buckhorn, FL, Buckingham, FL, Buckingham West, FL, Buckville, FL, Buda, FL, Buena Ventura Lakes, FL, Buena Vista, FL, Buffalo Bluff, FL, Bunnell, FL, Burbank, FL, Burnt Store Marina, FL, Burnetts Lake, FL, Bushnell, FL, Butler Beach, FL, Byard, FL, Cabbage Grove, FL, Cadillac, FL, Callahan, FL, Cameron City, FL, Campbell, FL, Camp Echockotee, FL, Camp Ocala, FL, Camps, FL, Camps Still, FL, Camp Roosevelt, FL, Campville, FL, Cana, FL, Canaan, FL, Canal Point, FL, Candler, FL, Canova Beach, Cape Canaveral, FL, Cape Coral, FL, Cape Haze, FL, Capitola, FL, Capps, FL, Captiva, FL, Carbur, FL, Cardwell, FL, Caribbean Key, FL, Carlson, FL, Carlton, FL, Carlton Village, FL, Carnestown, FL, Carraway, FL, Carrollwood, FL, Carrollwood Village, FL, Carters Corner, FL, Carver Heights, FL, Carver Rances, FL, Carver Village, FL, Casa Blanco, FL, Casa Cola, FL, Cassadaga, FL, Casselberry, FL, Cassia, FL, Castle Hill, FL, Catawba, FL, Cedar Creek, FL, Cedar Hammock, FL, Cedar Key, FL, Celebration, FL, Center Hill, FL, Centerville, FL, Century Village, FL, Chain O’ Lakes, FL, Chaires, FL, Chancey, FL, Chantilly Acres, FL, Chapel Hill, FL, Charleston Park, FL, Charlotte Harbor, FL, Charlotte Park, FL, Chassahowitzka, FL, Chatmire, FL, Chattahoochee, FL, Cherry Lake, FL, Chester, FL, Chiefland, FL, Childs, FL, Chokoloskee, FL, Christmas, FL, Chula Vista Isles, FL, Chuluota, FL, Cisky Park, FL, Citra, FL, Citronelle, FL, Citrus Center, FL, Citrus Hills, FL, Citrus Park, FL, Citrus Ridge, FL, Citrus Springs, FL, City Point, FL, Clara, FL, Clarcona, FL, Clark, FL, Clay Island, FL, Clayno, FL, Clay Sink, FL, Clearwater, FL, Clearwater Beach, FL, Clermont, FL, Cleveland, Clewiston, FL, Cliftonville, FL, Clinton Heights, FL, Cloud Lake, FL, Coachman, FL, Cocoa, FL, Cocoa Beach, FL, Coconut, FL, Coconut Creek, FL, Coconut Creek Park, FL, Cody, FL, Codys Corner, FL, Coker, FL, Coleman, FL, College Park, FL, Collier Park, FL, Collins Park Estates, FL, Columbia, FL, Combee Settlement, FL, Conant, FL, Concord, FL, Confer, FL, Conner, FL, Connersville, FL, Conrad, FL, Conrock, FL, Conway, FL, Cooglers Beach, FL, Cooks Hammock, FL, Cooper City, FL, Copeland, FL, Copeland Settlement, FL, Coquina Gables, FL, Coral Estates, FL, Coral Gardens, FL, Coral Heights, FL, Coral Hills, FL, Coral Manor, FL, Coral Ridge Isles, FL, Coral Springs, FL, Coral Woods, FL, Corkscrew, FL, Cornwell, FL, Cortez, FL, Country Club Isles, FL, Country Club Trail, FL, Country Estates, FL, County Club Acres, FL, Courtenay, FL, Cow Creek, FL, Crackertown, FL, Craggs, FL, Crandall, FL, Crawford, FL, Crawfordville, FL, Creighton, FL, Crescent Beach, FL, Crescent City, FL, Crescent City Station, FL, Crewsville, FL, Crooked Lake Park, FL, Croom, FL, Cross Bayou, FL, Cross City, FL, Cross Creek, FL, Crossley, FL, Crown Point, FL, Crows Bluff, FL, Crystal Beach, FL, Crystal Lake, FL, Crystal River, FL, Crystal Springs, FL, Cubitis, FL, Cummings, FL, Cumpressco, FL, Cunningham Estates, FL, Curlew, FL, Curtis, FL, Curtis Mill, FL, Cutlers, FL, Cypress Creek, FL, Cypress Gardens, FL, Cypress Harbor, FL, Cypress Isles Estates, FL, Cypress Lake, FL, Cypress Lake Estates, FL, Cypress Lakes, FL, Cypress Point, FL, Cypress Quarters, FL, Dade City, FL, Dahlberg, FL, Dahoma, FL, Dalhousie Acres, FL, Daisy Lake, FL, Dallas, FL, Dania Beach, FL, Danks Corner, FL, Danville, FL, Darby, FL, Darsey, FL, Davenport, FL, Davie, FL, Davis Shores, FL, Day, FL, Daysville, FL, Daytona Beach, FL, Daytona Beach Shores, FL, Daytona Highridge Estates, FL, Daytona Park Estates, FL, Deanville, FL, DeBary, FL, Deem City, FL, Deep Creek, FL, Deerfield Beach, FL, Deer Park, FL, Dekle Beach, FL, DeLand, FL, DeLand Highlands, FL, De Leon, FL, De Leon Springs, FL, De Leon Springs Heights, FL, Delespine, FL, Dell, FL, Delray Beach, FL, Delray Gardens, FL, Delray Shores, FL, Del Rio, FL, Delta, FL, Deltona, FL, Dellwood, FL, Denaud, FL, Dennet, FL, Denver, FL, De Soto City, FL, De Soto Lakes, FL, Dickert, FL, Dills, FL, Dixie, FL, Dixie Ranch Acres, FL, Doctors Inlet, FL, Doctor Phillips, FL, Dogtown, FL, Dona Vista, FL, Douglas City, FL, Dover, FL, Dowling Park, FL, Dreamworld, FL, Drexel, FL, Drifton, FL, Driftwood Acres, FL, Duette, FL, Dukes, FL, Dummit Grove, FL, Dundee, FL, Dunedin, FL, Dunedin Isles, FL, Dunes Road, FL, Dunnellon, FL, Dupont, FL, Dupont Center, FL, Durbin, FL, Dupree Gardens, FL, Durant Estates, FL, Dyal, FL, Eagle Island, FL, Eagle Lake, FL, Earleton, FL, Early Bird, FL, Eastgate, FL, East Gate Park, FL, East Lake, FL, East Lake - Orient Park, FL, East Lake Weir, FL, East Mullberry, FL, East Naples, FL, East Palatka, FL, Eastwood, FL, Eaton Park, FL, Eatonville, FL, Eau Gallie, FL, Ebb, FL, Eddy, FL, Eden, FL, Edgar, FL, Edgeville, FL, Edgewater, FL, Edgewater Junction, FL, Edgewood, FL, Egypt Lake, FL, Ehren, FL, Elder Springs, FL, El Destinado, FL, Eldora, FL, Eldred,FL, Eldridge, FL, Electra, FL, Elfers, FL, El Jobean, FL, Elkton, FL, Ellaville, FL, Ellenton, FL, Ellerbee, FL, Ellerslie, FL, Ellinor Ville, FL, Ellisville, FL, Ellsworth Junction, FL, Ellzey, FL, Eloise, FL, Eloise Woods, FL, Elwood, FL, Elwood Park, FL, Emporia, FL, Englewood, FL, Enterprise, FL, Eridu, FL, Espanola, FL, Estero, FL, Ethel, FL, Eugene, FL, Eureka, FL, Eustis, FL, Eva, FL, Evergreen, FL, Everglades City, FL, Evinston, FL, Ewell, FL, Facil, FL, Fairbanks, FL, Fairfield, FL, Fairgate, FL, Fairlane Estates, FL, Fairlawn, FL, Fairview, FL, Fairview Shores, FL, Fairvilla, FL, Fakahatchee, FL, Falmouth, FL, Fanlew, FL, Fanning Springs, FL, Farmton, FL, Fatio, FL, Favoretta, FL, Feather Sound, FL, Federal Point, FL, Fedhaven, FL, Felda, FL, Fellowship, FL, Fellowship Park, FL, Fellsmere, FL, Felkel, FL, Fenholloway, FL, Fernandina Beach, FL, Fern Crest Village, FL, Ferndale, FL, Fern Park, FL, Festus, FL, Fibral City, FL, Fincher, FL, Fish Creek, FL, Fish Hawk, FL, Five Points, FL, Flagler Beach, FL, Flamingo, FL, Flamingo Bay, FL, Flamingo Village, FL, Flemington, FL, Florahome, FL, Floral City, FL, Florence, FL, Florence Villa, FL, Floresta, FL, Floresta Estates, FL, Floridana Beach, FL, Florida City, FL, Florida Hills, FL, Florida Ridge, FL, Floritan, FL, Foley, FL, Footman, FL, Fordville, FL, Forest City, FL, Forest Grove, FL, Forest Hills, FL, Forest Island Park, FL, Fort Basinger, FL, Fort Centre, FL, Fort Denaud, FL, Fort De Soto, FL, Fort Drum, FL, Fort Gates, FL, Fort Green, FL, Fort Green Springs, FL, Fort Hamer, FL, Fort Lauderdale, FL, Fort Lonesome, FL, Fort King Acres, FL, Fort Kissimmee, FL, Fort Mason, FL, Fort Matanzas, FL, Fort McCoy, FL, Fort Meade, FL, Fort Myers, FL, Fort Myers Beach, FL, Fort Myers Shores, FL, Fort Myers Villas, FL, Fort Ogden, FL, Fort Pierce, FL, Fort Union, FL, Fort White, FL, Fountain Heights, FL, Four Corners, FL, Four Points, FL, Fowlers Bluff, FL, Foxleigh, FL, Fox Town, FL, Francis, FL, Franklin Park, FL, Franklintown, FL, Franwood Pines, FL, Freemont, FL, Fremd Village, FL, Frontenac, FL, Frostproof, FL, Fruit Cove, FL, Fruitland, Fruitland Park, FL, Fruitville, FL, Fuller Heights, FL, Fullers, FL, Fullerville, FL, Fussels Corner, FL, Gabriella, FL, Gainesville, FL, Galloway, FL, Gandy, FL, Garden Grove, FL, Garden Isles, FL, Gardner, FL, Gasparilla, FL, Gateway, FL, Geigers Landing, FL, Geneva, FL, Genoa, FL, Georgetown, FL, Georgiana, FL, Gibson, FL, Gibsonia, FL, Gibsonton, FL, Gifford, FL, Gilchrist, FL, Gillette, FL, Glencoe, FL, Glen Ridge, FL, Glen Saint Mary, FL, Glenwood, FL, Glidden Park, FL, Golden Gate, FL, Golden Isles, FL, Golden Lakes, FL, Goldenrod, FL, Golf, FL, Golf Estates, FL, Golfview, FL, Gomez, FL, Goodland, FL, Goodno, FL, Gopher Ridge, FL, Gordonville, FL, Gotha, FL, Grady, FL, Graham, FL, Grahamsville, FL, Grandin, FL, Grand Island, FL, Grandview, FL, Grant, FL, Grant-Valkaria, FL, Greenacres City, FL, Green Bay, FL, Greenbriar, FL, Green Cove Springs, FL, Greenfield, FL, Greensboro, FL, Greenville, FL, Gretna, FL, Griffin, FL, Griffins Corner, FL, Gross, FL, Grove City, FL, Groveland, FL, Grove Park, FL, Gulf Gate Estates, FL, Gulf Hammock, FL, Gulf Harbors, FL, Gulf Pine, FL, Gulfport, FL, Gulf Stream, FL, Gun Club Estates, FL, Hacienda Village, FL, Hague, FL, Haile, FL, Halifax Estates, FL, Haines City, FL, Hainesworth, FL, Half Moon, FL, Hallandale Beach, FL, Hall City, FL, Hamburg, FL, Hammond, FL, Hammondville, FL, Hampton, FL, Hampton Beach, FL, Hamton Springs, FL, Hamptons at Boca Raton, FL, Hanson, FL, Harbor Beach, FL, Harbor Bluffs, FL, Harbor East, FL, Harbor Oaks, FL, Harbor Palms, FL, Harbor Shores, FL, Harbor View, FL, Harbor Village, FL, Harbour Heights, FL, Hardaway, FL, Hardeetown, FL, Hardin Heights, FL, Harker, FL, Harbinwood Estates, FL, Harlem, FL, Harlem Heights, FL, Harmony, FL, Harrisburg, FL, Hasan, FL, Hastings, FL, Hatchbend, FL, Havana, FL, Haverhill, FL, Hawthorne, FL, Heathrow, FL, Hedges, FL, Heilbronn, FL, Helen, FL, Hell Gate, FL, Hen Scratch, FL, Hernando, FL, Hernando Beach, FL, Hero, FL, Hesperides, FL, Hibernia, FL, Hicoria, FL, Hidden River, FL, High Springs, FL, Highland, FL, Highland Beach, FL, Highland City, FL, Highland Lakes, FL, Highland Park, FL, Highland Park Estates, FL, High Point, FL, High Ridge Estates, FL, Hilden, FL, Hildreth, FL, Hillcrest Heights, FL, Hillcoat, FL, Hilliard, FL, Hilliards, FL, Hilliardville, FL, Hill n Dale, FL, Hilolo, FL, Hines, FL, Hinson, FL, Hillsboro Beach, FL, Hillsboro Pines, FL, Hillsboro Ranches, FL, Hobe Sound, FL, Hodgson, FL, Hog Valley, FL, Holden Heights, FL, Holder, Holiday, FL, Holiday Hills, FL, Holiday Manor, FL, Holland, FL, Hollingsworth Bluff, FL, Hollister, FL, Holly Hill, FL, Holly Point, Hollywood,FL, Hollywood Beach, FL, Hollywood Ridge Farms, FL, Holmes Beach, FL, Holopaw, FL, Homeland, FL, Homestead Ridge, FL, Homosassa, FL, Homosassa Springs, FL, Honore, FL, Hookers Point, FL, Hopewell, FL, Horseshoe Beach, FL, Houston, FL, Howey Height, FL, Howey-In-The-Hills, FL, Hoyt, FL, Hucomer, FL, Hudson,FL, Hugh, FL, Hull, FL, Hunter, FL, Hunters Creek, FL, Huntington, FL, Hyde Park, FL, Hypoluxo, FL, Iamonia, FL, Iddo, FL, Ilexhurst, FL, Immokalee, FL, Imperial Point, FL, Indialantic, FL, Indian Harbour Beach, FL, Indian Lake Estates, FL, Indian Mound Village, FL, Indianola, FL, Indian River City, FL, Indian River Estates, FL, Indian River Shores, FL, Indian Rocks Beach, FL, Indian Shores, FL, Indiantown, FL, Indrio, FL, Ingle, FL, Inglis, FL, Innisbrook, FL, Intercession City, FL, Interlachen, FL, Inverness,FL, Inwood, FL, Iona, FL, Irvine, FL, Island Grove, FL, Isleboro, FL, Isles of Capri, FL, Istachatta, FL, Istokpoga, FL, Italia, FL, Ivan, FL, Inwood, FL, Jackson Bluff, FL, Jacksonville, FL, Jacksonville Beach, FL, Jan Phyl Village, FL, Jamestown, FL, Jamieson, FL, Jasmine Estates, FL, Jasper, FL, Jay Jay, FL, Jena, FL, Jenada Isles, FL, Jennings, FL, Jensen Beach, FL, Jerome, FL, Jessamine, FL, Jessie Willies, FL, Jonesville, FL, Johnson, FL, Johnsons Corner, FL, Johnstown, FL, Jonesboro, FL, Jones Corner, FL, Jones Landing, FL, Joshua, FL, June Park, FL, Juniper, FL, Juno Beach, FL, Juno Ridge, FL, Jupiter, FL, Jupiter Inlet Beach Colony, FL, Jupiter Island, FL, Kalamazoo, FL, Kanapaha, FL, Kathleen, FL, Keaton Beach, FL, Keela, FL, Keene, FL, Keentown, FL, Kenansville, FL, Kendall Green, FL, Kendrick, FL, Kennedy Still, FL, Kenneth City, FL, Kenny, FL, Kensington Park, FL, Kent, FL, Keri, FL, Kerr City, FL, Keuka, FL, Keystone, FL, Keystone Heights, FL, Killarney, FL, Kincaid Hills, FL, Kings Ferry, FL, Kings Point, FL, Kingsford, FL, Kingsland, FL, Kingsley, FL, Kingsley Beach, FL, Kingsley Village, FL, Kinsey, FL, Kirkwood, FL, Kissimmee, FL, Korona, FL, Kossuthville, FL, Kuhlman, FL, LaBelle, FL, LaBuena, FL, Lacoochee, FL, Lacota, FL, La Crosse, FL, Lady Lake, FL, Lafayette, FL, La Grange, FL, Lake Alfred, FL, Lake Ashby Shores, FL, Lake Belvedere Estates, FL, Lake Buena Vista, FL, Lake Butler, FL, Lake Butter, FL, Lake Cain Hills, FL, Lake Charm, FL, Lake City, FL, Lake Clarke Shores, FL, Lake Como, FL, Lake Forest, FL, Lake Garfield, FL, Lake Geneva, FL, Lake Hamilton, FL, Lake Harbor, FL, Lake Hart, FL, Lake Helen, FL, Lake Jackson, FL, Lake Jem, FL, Lake Jovtia, FL, Lake Kathryn, FL, Lake Kathryn Heights, FL, Lakeland, FL, Lakeland Highlands, FL, Lake Lindsey, FL, Lake Mack Park, FL, Lake Magdalene, FL, Lake Marian Highlands, FL, Lake Mary, FL, Lake Monroe, FL, Lakemont, FL, Lake of the Hills, FL, Lake Panasoffkee, FL, Lake Park, FL, Lake Pasadena Heights, FL, Lake Placid,FL, Lakeport, FL, Lake Rogers Isle, FL, Lake Sarasota, FL, Lake Shipp Heights, FL, Lakeside, FL, Lakeside Green, FL, Lake Suzy, FL, Lakeview, FL, Lake View Park, FL, Lake Wales, FL, Lake Weir, FL, Lakewood Park, FL, Lakewood Ranch, FL, Lake Worth, FL, Lancaster, FL, Land O Lakes, FL, Landrum, FL, Lands End Ranch, FL, Lansing, FL, Lantana, FL, Lamont, FL, Largo, FL, Lauderdale Lakes, FL, Lauderdale-by-the-Sea, FL, Lauderhill, FL, Laurel, FL, Laurel Grove, FL, Lawhons Mill, FL, Lawtey, FL, Lazy Lake, FL, Lealman, FL, Lebanon Station, FL, Lecanto, FL, Lee, FL, Lee Cypress, FL, Leesburg, FL, Lehigh Acres, FL, Leisureville, FL, Leland, FL, Lely, FL, Lely Resort, FL, Lemon Bluff, FL, Lemon Grove, FL, Leno, FL, Lessie, FL, Lido Key, FL, Lighthouse Point, FL, Lily, FL, Limestone, FL, Limestone Creek, FL, Lincoln Estates, FL, Lincoln Park, FL, Linden, FL, Lisbon, FL, Little Harbor on the Hillsboro, FL, Little Lake City, FL, Littman, FL, Live Oak, FL, Live Oak Island, FL, Lloyd, FL, Lochloosa, FL, Loch Lommond, FL, Lochmoor Waterway Estates, FL, Lock Arbor, FL, Lockhart, FL, Lois, FL, Lokosee, FL, Longbeach, FL, Longboat Key, FL, Long Branch, FL, Longdale, FL, Long Hammock, FL, Longwood, FL, Lorida, FL, Lorraine, FL, Los Trancos Woods, FL, Lottieville, FL, Lotus, FL, Loughman, FL, Louise, FL, Lovett, FL, Lowell, FL, Loxahatchee, FL, Groves, FL, Loyce, FL, Lucerne Park, FL, Lulu, FL, Lumberton, FL, Lundy, FL, Luraville, FL, Lutterloh, FL, Lutz, FL, Lynchburg, FL, Lynne, FL, Mabel, FL, Macclenny, FL, Madeira Beach, FL, Madison, FL, Magnolia Springs, FL, Maitland, FL, Malabar, FL, Manalapan, FL, Manasota, FL, Manasota Beach, FL, Manasota Key, FL, Manatee, FL, Manatee Road, FL, Mango, FL, Mangonia Park, FL, Manhattan, FL, Manning, FL, Manns Spur, FL, Mannville, FL, Marco Island, FL, Marcy, FL, Margate, FL, Margate Estates, FL, Marineland, FL, Marion, FL, Marion Oaks, FL, Marland, FL, Masaryktown, FL, Mascotte, FL, Mason, FL, Matlacha, FL, Matlacha Isles, FL, Matlacha Shores, FL, Martel, FL, Martin, FL, Matoaka, FL, Mattox, FL, Maxcy Quarters, FL, Mayo, FL, Mayo Junction, FL, Maysland, FL, Maytown, FL, McAlpin, FL, McGregor, FL, McIntosh, FL, McMeekin, FL, McPherson, FL, Meadowbrook Terrace, FL, Meadow Woods, FL, Medart, FL, Medulla, FL, Melbourne, FL, Melbourne Beach, FL, Melbourne Village, FL, Meldrim Park, FL, Melrose, FL, Melrose Park, FL, Memphis, FL, Memphis Heights, FL, Mercer, FL, Merediths, FL, Meridian, FL, Merritt Island, FL, Miami, FL, Miami Gardens, FL, Micanpoy, FL, Micanopy Junction, FL, Micco, FL, Miccosukee, FL, Middleburg, FL, Middle River, FL, Middle River Manor, FL, Middle River Vista, FL, Mid Florida Lakes, FL, Midway, FL, Mikesville, FL, Mildred, FL, Miles City, FL, Military Park, FL, Miller, FL, Millwood, FL, Mims, FL, Minneola, FL, Mintons Corner, FL,Miramar, FL, Mission Bay, FL, Mission City, FL, Mitchell Beach, FL, Moffitt, FL, Mohawk, FL, Molasses Junction, FL, Monet, FL, Monkey Box, FL, Monroes Corner, FL, Montaque, FL, Montbrook, FL, Monticello, FL, Montclair, FL, Montivlla, FL, Monteoch, FL, Montverde, FL, Montverde Junction, FL, Moore Haven, FL, Moreland Park, FL, Morgantown, FL, Morningside Park, FL, Morriston, FL, Morse Shores, FL, Mosquito Grove, FL, Moss Bluff, FL, Moss Town, FL, Mott, FL, Moultrie, FL, Moultie Junction, FL, Mount Carrie, FL, Mount Dora, FL, Mountain Lake Station, FL, Mount Grove, FL, Mount Homer, FL, Mount Olive, FL, Mount Pleasant, FL, Mount Plymouth, FL, Mount Royal, FL, Muce, FL, Mulberry, FL, Mullet Lake Park, FL, Murdock, FL, Myakka City, FL, Myakka Head, FL, Myrtis, FL, Myrtle Island, FL, Nalcrest, FL, Naples, FL, Naples Manor, FL, Naples Park, FL, Narcoossee, FL, Nash, FL, Nashua, FL, Nassau Villiage, FL, National Gardens, FL, Navair, FL, Neals, FL, Neheb, FL, Neilhurst, FL, Neilson, FL, Neoga, FL, Neptune Beach, FL, Nevins, FL, Newberry, FL, Newburn, FL, Newco, FL, New Eden, FL, Newnans Lake Homesites, FL, New Point Comfort, FL, Newport, FL, New Port Richey, FL, New River, FL, New Smyrna Beach, FL, New Upsala, FL, Nichols, FL, Ninemile Bend, FL, Nobleton, FL, Nocatee, FL, Nokomis, FL, Nokomis Beach, FL, Norfleet, FL, North Andrews Gardens, FL, North Bal Harbor, FL, North Beach, FL, North Brooksville, FL, Northdale, FL, North DeLand FL, North Fort Myers, FL, North Lauderdale, FL, North Meadowbrook Terrace, FL, North Naples, FL, North Palm Beach, FL, North Pompano Beach, FL, North Port, FL, North Redington Beach, FL, North River Shores, FL, North Sarasota, FL, Northwood, FL, Norwalk, FL, Nurmi Isles, FL, Nutall Rise, Oak, FL, Oak Grove, FL, Oak Knoll Estates, FL, Oak Park, FL, Oak Point, FL, Oak Ridge, FL, Oak Terrace, FL, Oakland, FL, Oakland Park, FL, O’Brien, FL, Ocala, FL, Ocala Ridge, FL, Ocean Breeze Park, FL, Ocean Ridge, FL, Ocean Vue, FL, Ochlockonee, FL, Ochopee, FL, Ocklawaha, FL, Ocoee, FL, Octahatchee, FL, Odessa, FL, Okahumpka, FL, Okeechobee, FL, Okeelanta, FL, Old Fernandina, FL, Old Grove, FL, Old Marco Junction, FL, Old Myakka, FL, Oldsmar, FL, Old Town, FL, Olga, FL, Olustee, FL, Ona, FL, Oneco, FL, O’Neil, FL, Orange Bend, FL, Orange Blossom, FL, Orange Blossom Hills, FL, Orange Blossom Hills South, FL, Orange City, FL, Orange City Hills, FL, Orangedale, FL, Orange Grove Villas, FL, Orange Height, FL, Orange Home, FL, Orange Lake, FL, Orange Mills, FL, Orange Mountain, FL, Orange Park, FL, Orange Springs, FL, Orangetree, FL, Orchid, FL, Orienta Gardens, FL, Orlando, FL, Orlovisa,FL, Ormond Beach, FL, Ormond By the Sea, FL, Orsino, FL, Ortona, FL, Osceola, FL, Oslo, FL, Osowaw Junction, FL, Osprey, FL, Osteen, FL, Otter Creek, FL, Oviedo, FL, Oxford, FL, Ozello, FL, Ozona, FL, Padgett Island, FL, Padlock, FL, Page Park, FL, Pahokee, FL, Painters Hill, FL, Paisley, FL, Palatka, FL, Palm Aire, FL, Palm Beach, FL, Palm Beach Farms, FL, Palm Beach Gardens, FL, Palm Beach Lakes, FL, Palm Beach Shores, FL, Palm Bay, FL, Palm City, FL, Palm Coast, FL, Palmdale Palm Harbor, FL, Palma Sola Park, FL, Palma Sola, FL, Palmetto, FL, Palmo, FL, Palmona Park, FL, Palm River, FL, Palm River-Clair Mel, FL, Palm River Estates, FL, Palm Shadows, FL, Palm Shores, FL, Palm Springs, FL, Palm Valley, FL, Palm Valley Landing, FL, Palm View, FL, Panacea, FL, Panacea Park, FL, Panacoochee Retreats, FL, Paola, FL, Parmalee, FL, Paradise, FL, Paradise Heights, FL, Paradise Palms, FL, Paradise Park, FL, Paradise Point, FL, Parker Island, FL, Park Haven, FL, Parkland, FL, Parrish, FL, Pasadena Shores, FL, Pasco, FL, Pass Station, FL, Patersonville, FL, Peace River Shores, FL, Peach Orchard, FL, Pebbledale, FL, Pecan, FL, Peck, FL, Pedro, FL, Pelican Bay, FL, Pelican Lake, FL, Pembroke, FL, Pembroke Park, FL, Pembroke Peniel, FL, Pennichaw, FL, Penny Farms, FL, Perkins, FL, Perry, FL, Peterson, FL, Phifer, FL, Picolata, FL, Piedmont, FL, Pierce, FL, Pierson, FL, Pine, FL, Pine Bluff, FL, Pine Castle, FL, Pinecraft, FL, Pinecrest, FL, Pineda, FL, Pine Dale, FL, Pine Grove, FL, Pine Hill Estates, FL, Pine Hills, FL, Pine Island, FL, Pine Island Center, FL, Pine Island Ridge, FL, Pine Lakes, FL, Pineland, FL, Pine Level, FL, Pine Manor, FL, Pinellas Park, FL, Pineola, FL, Pine Mount, FL, Pine Ridge, FL, Pinesville, FL, Pine Top, FL, Pinetta, FL, Piney Point, FL, Pinland, FL, Pirate Harbor, FL, Pittman, FL, Pittsburg, FL, Placida, FL, Placid Lakes, FL, Plains, FL, Plantation, FL, Plantation Gardens, FL, Plantation Island, FL, Plantation Isles, FL, Plantation Park, FL, Plant City, FL, Platt, FL, Playland Estates, FL, Playland Isles, FL, Playland Village, FL, Plum Orchard, FL, Plymouth, FL, Poinciana, FL, Poinciana Place, FL, Poinsettia Park, FL, Point O’ Rocks, FL, Point Pleasant, FL, Polk City, FL, Pomona Park, FL, Pompano Beach, FL, Pompano Beach Highlands, FL, Pompano Estates, FL, Pompano Isles, FL, Pompano Park, FL, Ponce Inlet, FL, Ponce Park, FL, Ponte Vedra, FL, Point Vedra Beach, FL, Port Boca Grande, FL, Port Charlotte, FL, Port Everglades, FL, Port Everglades Junction, FL, Port Inglis, FL, Port LaBelle, FL, Port Laudania, FL, Port Leon, FL, Port Lonesome, FL, Port Mayaca, FL, Port Orange, FL, Port Richey, FL, Port Saint John, FL, Port Saint Lucie, FL, Port Salerno, FL, Port Sewall, FL, Powell, FL, Poyner, FL, Prairie Junction, FL, Providence, FL, Pumpkin Center, FL, Punta Gorda, FL, Punta Gorda Beach, FL, Punta Gorda Isles, FL, Punta Rassa, FL, Purvis Still, FL, Putnan Hall, FL, Queens Cove, FL, Quincy, FL, Rainbow Falls, FL, Rainbow Lakes Estates, FL, Rainbow Homes, FL, Rainbow Lakes, FL, Railford, FL, Raleigh, FL, Ratliff, FL, Ravenna Park, FL, Ravenswood Estates, FL, Rawls, FL, Reavills Corner, FL, Reddick, FL, Redington Beach, FL, Redington Shores, FL, Red Level, FL, Reunion, FL, Relay, FL, Rerdell, FL, Rex, FL, Rio, FL, Rice Creek, FL, Rich Bay, FL, Richloam, FL, Rideout, FL, Ridecrest, FL, Ridge Harbor, FL, Ridge Manor, FL, Ridgewood, FL, Ridge Wood Heights, FL, Rio Vista Isles, FL, Riomar, FL, Rital, FL, Riverdale, FL, River Forest, FL, River Junction, FL, Riverland, FL, River Park, FL, Riverside Acres, FL, Riverview, FL, Riviera Beach, FL, Rixford, FL, Roan, FL, Robinson Heights, FL, Rochelle, FL, Rock Island, FL, Rock Island Village, FL, Rockland, FL, Rockledge, FL, Rock Ridge, FL, Rocksprings, FL, Rockwell, FL, Rocky Point, FL, Rodman, FL, Ro-Len Lake Gardens, FL, Rolling Acres, FL, Rolling Hill, FL, Rolling Oaks, FL, Romeo, Rood, FL, Roosevelt Gardens, FL, Rose, FL, Rosedale, FL, Roseland, FL, Rosemont, FL, Rosewood, FL, Ross Prairie, FL, Rotonda, FL, Rotonda West, FL, Roux Quarters, FL, Roy, FL, Royal, FL, Royal Oak Hills, FL, Royal Palm Beach, FL, Royal Palm Estates, FL, Royal Palm Isles, FL, Royal Palm Ranches, FL, Royal Palm Hammock, FL, Royal Palms Park, FL, Royal Poinciana Park, FL, Royster, FL, Rubonia, FL, Runnymede, FL, Runyon, FL, Ruskin, FL, Russell, FL, Rutland, FL, Rutledge, FL, Rye, FL, Sabal Palms Estates, FL, Safety Harbor, FL, Saint Augustine, FL,Saint Augustine Beach, FL, Saint Augustine Shores, FL, Saint Augustine South, FL, Saint Catherine, FL, Saint Cloud, FL, Saint Francis, FL, Saint George, FL, Saint James City, FL, Saint Johns Park, FL, Saint Johns River Estates, FL, Saint Joseph, FL, Saint Josephs, FL, Saint Leo, FL, Saint Lucie, FL, Saint Marks, FL, Saint Peter, FL, Saint Petersburg, FL, Samoset, FL, Sampson, FL, Samsula-Spruce Creek, FL, San Antonio, FL, Salem, FL, Salt Springs, FL, Salvista, FL, Sanborn, FL, San Carlos Park, FL, Sand Cut, FL, Sandalfoot Cove, FL, Sanderson, FL, Sanders Park, FL, Sandy, FL, Sandy Point, FL, Sanford, FL, Sanford Farms, FL, Sanibel, FL, Sanlando Springs, FL, Sanlanta, FL, San Mateo, FL, Santa Barbara Shores, FL, Santa Clara, FL, Santa Fe, FL, Santa Fe Beach, FL, Sans Souci, FL, Santo, FL, Samoset, FL, Sampson, FL, Samsula, FL, Samsula-Spruce Creek, FL, Sapp, FL, Sarasota, FL, Sarasota Colony, FL, Sarasota Heights, FL, Sarasota Springs, FL, Saratoga, FL, Sargent, FL, Satellite Beach, FL, Satsuma, FL, Sawdust, FL, Sawgrass, FL, Saxton, FL, Scanlon, FL, Schall Circle, FL, Scotland, FL, Scottsmoor, FL, Seabreeze, FL, Sea Ranch Lakes, FL, Sears, FL, Sebastian, FL, Sebring, FL, Secotan, Seffner, FL, Seminole, FL, Seminole Manor, FL, Seminole Shores, FL, Seminole Springs, FL, Senyah, FL, Seville, FL, Sewall’s Point, FL, Seven Springs, FL, Seneca, FL, Shadeville, FL, Shadow Lawn Estates, FL, Shady, FL, Shady Grove, FL, Shady Hills, FL, Shady Rest, FL, Shamrock, FL, Shannon Wood, FL, Sharpes, FL, Shawano, FL, Shawnee, FL, Shell Bluff, FL, Shell Island, FL, Shell Point Village, FL, Shenks, FL, Sherman, FL, Sherwood Park, FL, Shiloh, FL, Shiney Town, FL, Shired Island, FL, Shorewood, FL, Siesta Key, FL, Silver Beach Heights, FL, Silver Lake, FL, Silver Shores, FL, Silver Springs, FL, Silver Springs Shores, FL, Sirmans, FL, Sisco, FL, Sixmile Bend, FL, Skipper, FL, Sky Lake, FL, Skytop, FL, Slade, FL, Slater, FL, Slavia, FL, Slones Ridge, FL, Smith Creek, FL, Snow Hill, FL, Snug Harbor, FL, Socrum, FL, Solana, FL, Sopchoppy, FL, Soroka Shores, FL, Sorrento, FL, South Apopka, FL, South Bay, FL, South Beach, FL, South Bradenton, FL, South Brooksville, FL, Southchase, FL, South Clinton Heights, FL, South Clermont, FL, South Clewiston, FL, South Cocoa Beach, FL, South Daytona, FL, Southfort, FL, Southgate, South Gate Ridge, FL, South Highpoint, FL, Southmere, FL, South Mulberry, FL, South Palm Beach, FL, South Pasadena, FL, South Patrick, FL, South Patrick Shores, FL, South Peninsula, FL, South Pine Lakes, FL, South Ponte Verdra Beach, FL, South Port, FL, South Punta Gorda Heights, FL, South Sarasota, FL, South Trail, FL, South Venice, FL, Southwest Ranches, FL, Sparr, FL, Spray, FL, Spring Creek, FL, Spring Hill, FL, Spring Lake, FL, Springside, FL, Springville, FL, Spuds, FL, Stacey Street, FL, Stanton, FL, Starr, FL, Starke, FL, Starkes Ferry, FL, Steckert,FL, Steinhatchee, FL, Stern, St. Pete Beach, FL, Stuart, FL, Sturkey, FL, Suburban Heights, FL, Surf, FL, Sugar Junction, FL, Sugarton, FL, Sugarmill Woods, FL, Summerfield, FL, Summer Haven, FL, Summerport Beach, FL, Sumner, FL, Sumterville, FL, Sun City, FL, Suncoast Estates, FL, Sunland Gardens, FL, Sunniland, FL, Sunnyland, FL, Sunnyside, FL, Sunset Harbor, FL, Sun Swept Isles, FL, Sunrise, FL, Sunrise Heights, FL, Sunrise Key, FL, Sunset Beach, FL, Sunshine Acres, FL, Sunshine Beach, FL, Sunshine Park, FL, Sunshine Ranches, FL, Sunvale, FL, Sun Valley, FL, Suwannee, FL, Suwannee Springs, FL, Suwannee Valley, FL, Sweetwater, FL, Sweetwater Creek, FL, Switerland, FL, Sycamore, FL, Sylvan Lake, FL, Sylvan Shores, FL, Tacoma, FL, Taft, FL, Tahitian Gardens, FL, Tallahassee, FL, Tallevast, FL, Tamarac, FL, Tampa, FL, Tancrede, FL, Tangelo Park, FL, Tangerine, FL, Tarpon Point, FL, Tarpon Springs, FL, Tarrytown, FL, Tatum, FL, Tavares,FL, Taylor, FL, Taylor Creek, FL, Tedder, FL, Tee and Green Estates, FL, Telegraph Estates, FL, Temple Terrace, Fl,Tennille, FL, Terra Mar, FL, The Cove, FL, The Jungle, FL, The Meadows, FL, Theressa, FL, The Villages, FL, Tice, FL, Tidewater, FL, Tequesta, FL, Terra Ceia, FL, Terra Mana, FL, Tidewater, FL, Tierra Verde, FL, Terrytown, FL, Tiger Bay, FL, Tildenville, FL, Timber Pines, FL, Titusville, FL, Thonotosassa, FL, Thomas City, FL, Three Oaks, FL, Tice, FL, Tocoi, FL, Tommytown, FL, Tomoka Estates, FL, Torrey, FL, Town 'n' Country, FL, Townsend, FL, Tailer Estates, FL, Trailtown, FL, Tranquility Park, FL, Traxler, FL, Treasure Island, FL, Trenton, FL, Trilby, FL, Trilcoochee, FL, Trinity, FL, Tri Par Estates, FL, Tropic, FL, Tropic Isle, FL, Tropical Gulf Acres, FL, Truckland, FL, Tuckers Corner, FL, Turkey Foot, FL, Turnbull, FL, Tuscannoga, FL, Twin Lakes, FL, Twentymile, FL, Twentymile Bend, FL, Tyler, FL, Umatilla, FL, Union Park, FL, University Park, FL, University West, FL, Usher, FL, Usina Beach, FL, Utopia, FL, Valdez, FL, Valkaria, FL, Valrico, FL, Vamo, FL, Vanderbilt Beach, FL, Vandolah, FL, Vaughn, FL, Venice, FL, Venice Beach, FL, Venice East, FL, Venice Gardens, FL, Venice Groves, FL, Venus, FL, Vereen, FL, Vermont Heights, FL, Verna, FL, Victor, FL, Viera, FL, Viking, FL, Village Park, FL, Villano Beach, FL, Villages of Oriole, FL, Villas, FL, Vineland, FL, Vineyards, FL, Vista, Vitis, FL, Verdie, FL, Vero Beach, FL, Vero Lake Estates, FL, Volusia, FL, Wabasso, FL, Wabasso Beach, FL, Wacahoota, FL, Wacissa, FL, Wade, FL, Wadesboro, FL, Wagner, FL, Wagon Wheel, FL, Wahneta, FL, Wahoo, FL, Waits Junction, FL, Wakulla, FL, Wakulla Beach, FL, Walkulla Gardens, FL, Wakulla Springs, FL, Waldo, FL, Walkill, FL, Wall Springs, FL, Walton, FL, Wannee, FL, Ward, FL, Warm Mineral Springs, FL, Washington Park, FL, Waterbury, FL, Waters Lake, FL, Watertown, FL, Watson, FL, Wauchula, FL, Waukeenah, FL, Waveland, FL, Waverly, FL, Weathersfield, FL, Webster, FL, Wedgefield, FL, Weeki Wachee, FL, Weeki Wachee Acres, FL, Weeki Wachee Gardens, FL, Weirsdale, FL, Wekiva, FL, Wekiva Springs, FL, Wekiwa Springs, FL, Welaka, FL, Wellborn, FL, Wellington, FL, Wesley Chapel, FL, West Bradenton, FL, Westchase, FL, West Deerfield Beach, FL, West DeLand, FL, West Dixie Bend, FL, West Eau Gallie, FL, West Gate, FL, West Hills, FL, West Hollywood, FL, Westgate Lake Manor, FL, West Jupiter, FL, West Lake, FL, West Lake Wales, FL, West Melbourne, FL, West Park, FL, West Palm Beach, FL, West Palm Beach Farms, FL, Weston, FL, West Scenic Park, FL, West Samoset, FL, West Tocoi, FL, Wetumpka, FL, Whiskey Creek, FL, Whispering Hills Golf Estates, FL, Whisper Walk, FL, Whispering Pines, FL, Whidden Corner, FL, White Beach, FL, White City, FL, Whites Ford, FL, Whites Landing, FL, White Springs, FL, Whitney, FL, Whitfield, FL, Whitfield Estates, FL, Whitney Beach, FL, Whittier, FL, Wilbur by the Sea, FL, Wilburn, FL, Wilcox, FL, Wilcox Junction, FL, Wild Island, FL, Wildwood, FL, Wiley, FL, Williamsburg, FL, Willams Point, FL, Willford, FL, Williston, FL, Williston Highlands, FL, Willow, FL, Willow Oak, FL, Wilson, FL, Wilton Manors, FL, Wimberly Estates, FL, Winfield, FL, Wimauma, FL, Windermere, FL, Windsor, FL, Winston, FL, Winter Beach, FL, Winter Garden, FL, Winter Haven, FL, Winter Park, FL, Winter Springs, FL, Wiscon, FL, Withla, FL, Wolfolk, FL, Woodmere, FL, Woodruff Springs, FL, Woodsetter North, FL, Woodville, FL, Worthington Springs, FL, Wulfert, FL, Wynwood, FL, Yalaha, FL, Yamato, FL, Yankeetown, FL, Ybel, FL, Yeehaw Junction, FL, Yellow Jacket, FL, Yelvington, FL, York, FL, Yulee, FL, Yulee Heights, FL, Zana, FL, Zellwood, FL, Zephyrhills, FL, Zolfo Springs, FL, and Zuber, FL. Mike's has moved, installed, repair, setup re-cushion, or recover almost every type and size of Billiard table known to man, from AMF, Beach, Brunswick, C.L. Bailey, Beringer, Classic, Connelly, Diamond, Dynamo, Fischer, Imperial, Legacy, Leisure Bay, Olhausen, Proline, Thomas Aaron, United and Valley Billiard Tables. So Give Mike's a call for your next Billiard table needs to be setup, recover, moved, cushion replaced or a just little restoration work. 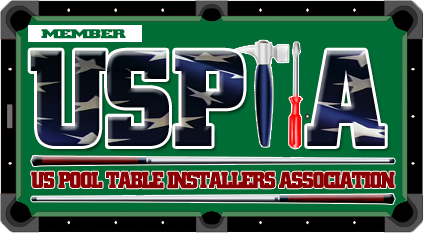 If you are looking for Professionals, "USPA Certified Billiard Table Mechanics" to move or re-felt your Billiard table call - "Mike's Billiard Supplies" - 1-800-887-2630 - and just ask for "Mike" it's just that easy ! Mike's Billiard table moving, re-felting and crating service area includes 55 of Florida's 67 Counties, except for the 12 panhandle counties of Florida. 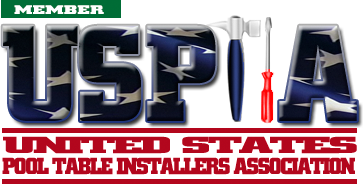 Mike Provides the State of Florida with Billiard Table and Pool Table Repair Professionals. 1. Disassemble, Crating and Shipping of Billiard Tables Worldwide. 2. Billiard Table and Pool Table Re-felting and Re-cushioning. 3. Billiard Table and Pool Table Assembly and Installation. 4. Billiard Tables New and Used, Bought and Sold. 5. Billiard Table and Pool Table Movers. 02. Baker County call – 800-887-2630. 03. Bradford County call – 800-887-2630. 04. Brevard County call - 800-887-2630. 05. Broward County call – 800-887-2630. 06. Charlotte County call - 941-747-6927 or 800-887-2630. 07. Citrus County call - 352-241-8772 or 800-887-2630. 08. Clay County call – 800-887-2630. 09. Collier County call – 239-542-8772 or 800-887-2630. 10. Columbia County call – 800-887-2630. 12. De Soto County call - 863-413-1862 or 800-887-2630. 13. Dixie County call - 352-241-8772 or 800-887-2630. 14. Duval County call – 800-887-2630. 15. Flagler County call – 800-887-2630. 17. Gilchrist County call - 352-241-8772 or 800-887-2630. 18. Glades County call - 863-413-1862 or 800-887-2630. 19. Hamilton County call – 800-887-2630. 20. Hardee County call - 863-413-1862 or 800-887-2630. 21. Hendry County call - 863-413-1862 or 800-887-2630. 22. Hernando County call - 352-241-8772 or 800-887-2630. 23. Highlands County call - 863-413-1862 or 800-887-2630. 24. Hillsborough County call - 813-254-8795, 813-684-7665 or 800-887-2630. 25. Indian River County call – 800-887-2630. 27. Lafayette County call – 800-887-2630. 28. Lake County call - 352-241-8772. 29. Lee County call – 239-542-8772. 31. Levy County call - 352-241-8772 or 800-887-2630. 33. Manatee County call - 941-747-6927 or 800-887-2630. 34. Marion County call - 352-241-8772 or 800-887-2630. 35. Martin County call – 800-887-2630. 36. Monroe County call – 239-542-8772 or 800-887-2630. 37. Nassau County call – 800-887-2630. 38. Okeechobee County call – 863-413-1862 or 800-887-2630. 39. Orange County call - 407-2003-2177 or 800-887-2630. 40. Osceola County call - 407-203-2177 or 800-887-2630. 42. Pasco County call - 727-848-9038 or 800-887-2630. 43. Pinellas County call - 727-522-8731, 727-522-8772 or 727-443-7665. 44. Polk County call - 863-413-1862 or 800-887-2630. 45. Putnam County call – 800-887-2630. 46. St. Johns County call – 800-887-2630. 47. St. Lucie County call – 800-887-2630. 48. Sarasota County call - 941-747-6927 or 800-887-2630. 49. Seminole County call - 407-203-2177 or 800-887-2630. 50. Sumter County call - 352-241-8772 or 800-887-2630. 51. Suwannee County call – 800-887-2630. 53. Union County call – 800-887-2630. 54. Volusia County call - 800-887-2630. Mike's Billiard Supplies and Crating Service is full service Billiard Supply Company including Billiard table moving, recover, cushion replacement, restoration, and Repairs that was established in 1994 and listed in the Verizon Yellow Pages under Billiard. We also do cue repairs, to full setup, installation and breakdowns for flooring. If you are moving out of the State of Florida and the movers will not move your Billiard table we provide crating and shipping of Billiard tables and accessories anywhere in the World. Mike has been doing installing, re-felting and moving billiard tables in an around most Cities and Towns in Florida for more than 15 years. To check prices on our services just click the links on the below. Then just email us for our professional service. Mike's Billiard Table Installation, Re-felting and Cushion Replacement Pricing:It is best to have a professional do the installation of your billiard table. Let us do the work; we have the knowledge and equipment to complete the job without damage to the billiard table, house or people. If you have recently moved to a new home, your billiard table was most likely disassembled and crated. We will re-assemble the billiard table, re-level and recover if needed. After years of playing on a billiard table the cloth may need replacement. In some cases the billiard table owner just wants a change in the color of cloth. It just takes picking the color of the new cloth, we will come to your home remove the rails and apply the new cloth. After several years you may notice the pool table cushions are not as responsive or have irregular response. This means its time to replace the billiard table cushions. The pool table cushions are usually glued onto the rail assembly. Therefore we will remove the cloth and cushion from the rails, glue new cushions on and recover with new cloth. This is usually the time to replace the cloth on the table because the new cloth on the cushions will not match the older cloth on the bed of the table. For most customers when the cushions are replaced the table gets an recovered with new cloth, cushions, re-level and anything else needed to restore your table to its original glory. Mike's Billiard Table Disassemble and Crating Service Pricing: If you are moving out of the State of Florida we will disassemble your billiard table for you and crate your slates for a safe move. Mike's Billiard Table Moving and Re-felting Pricing:There are many reasons for moving a billiard table. You may be moving to a new home in the area. You may have purchased a used billiard table and need it moved from the previous owners home to yours. You may be installing new carpeting and want the pool table moved to a different room. Mike's Billiard Table Removal Service:Got that old billiard table you cannot sell and just want it remove from you home? "A Service Provided by Mike's Billiard Supplies" "Mike's Billiard Supplies is on Myspace"